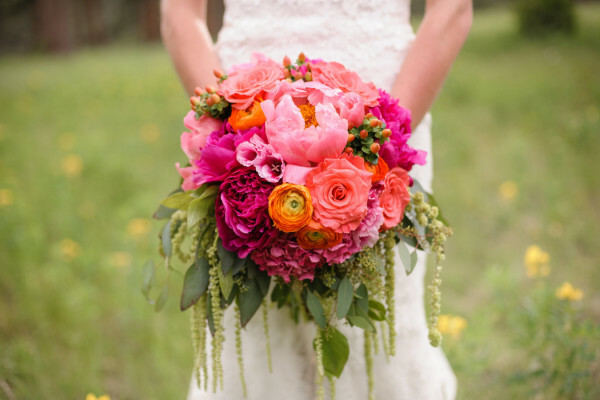 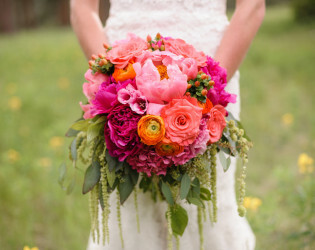 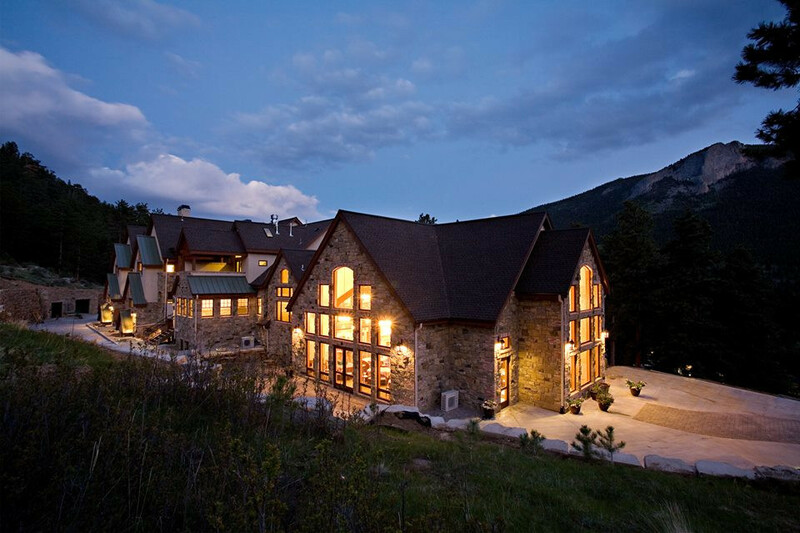 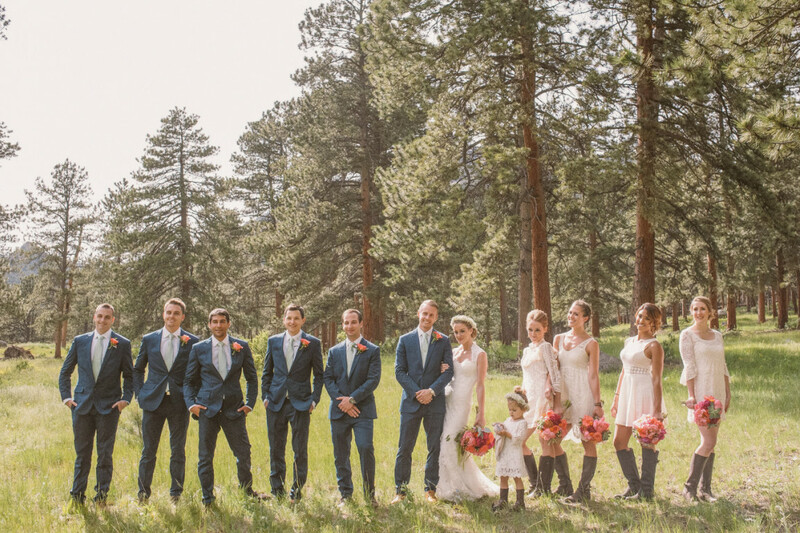 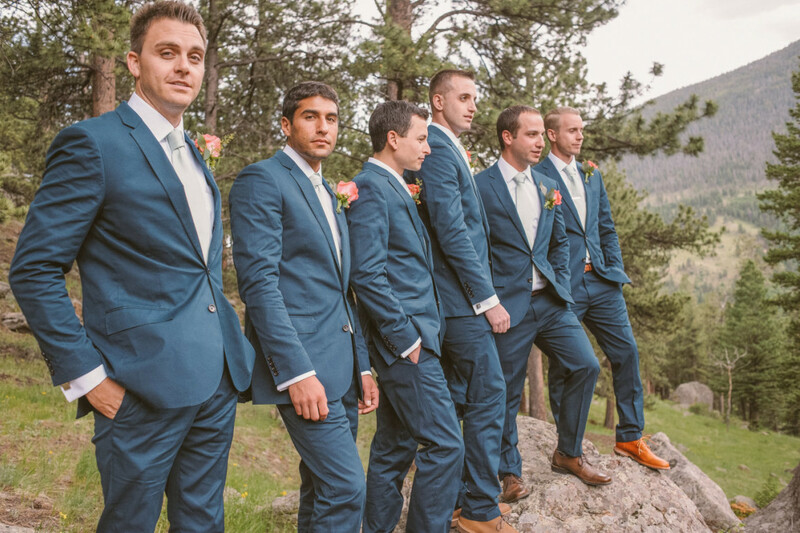 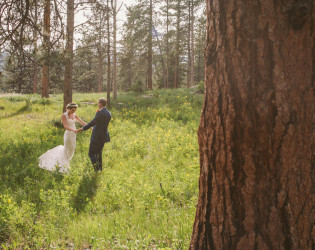 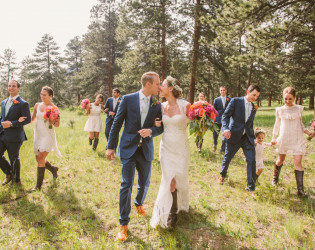 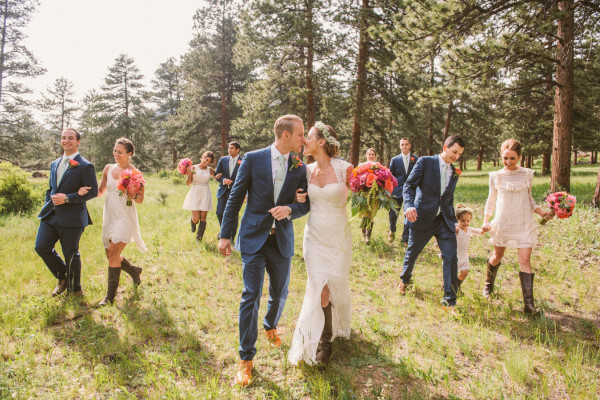 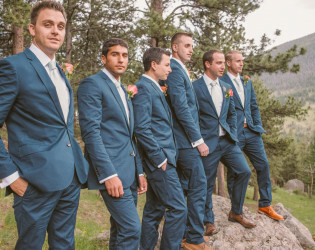 Say "I Do" amongst the pines and frolick in the flower fields to celebrate with your new Mr. or Mrs.
Hidden away in the majestic Rocky Mountains, this colorful Colorado chateau sits atop a hill overlooking Estes Park. 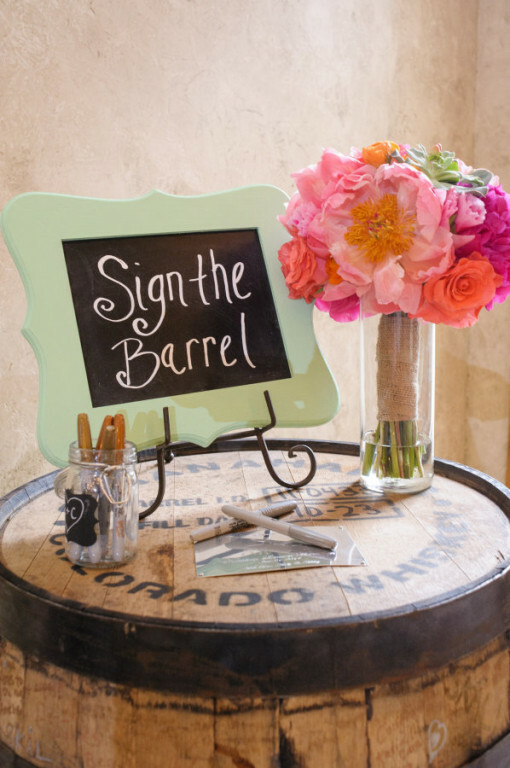 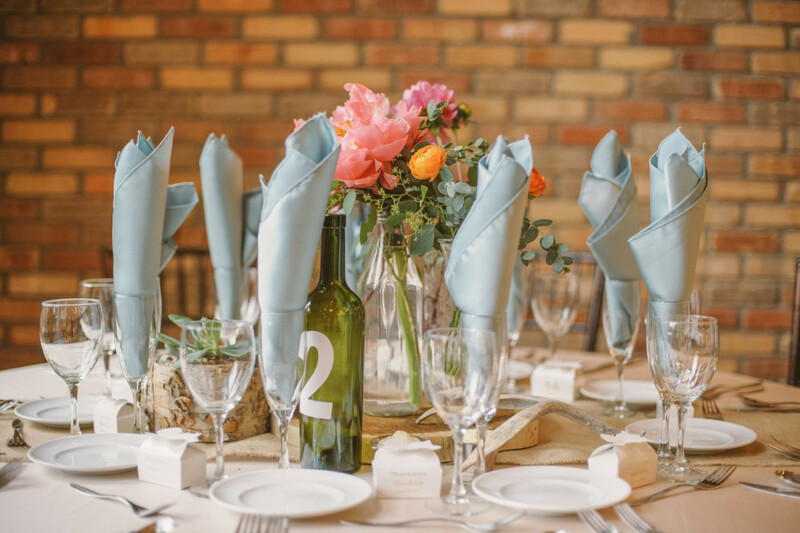 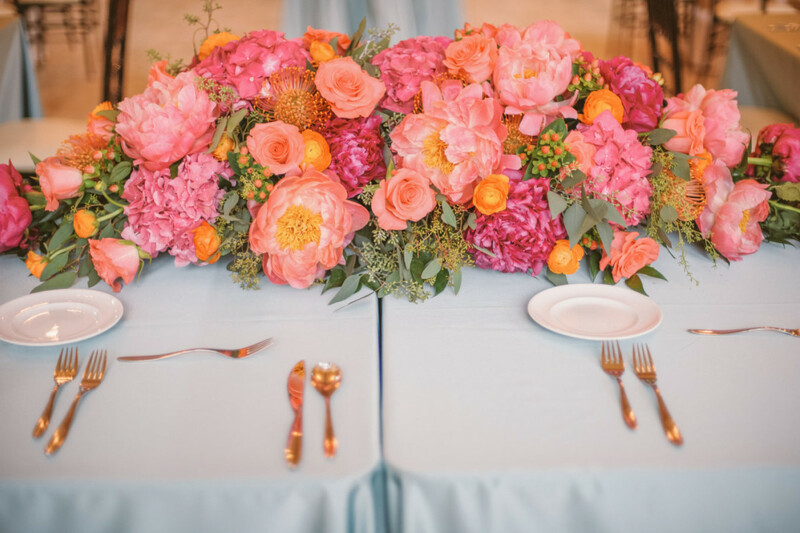 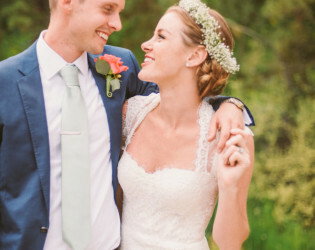 Boho, elegant, or rustic, this venue tranforms to fit any vision, any day of the year. 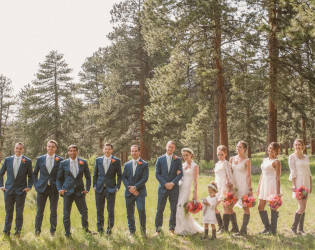 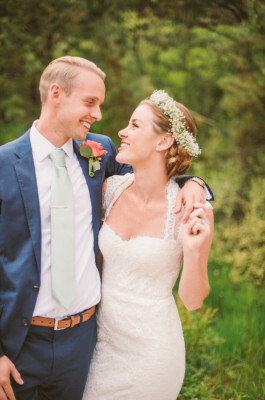 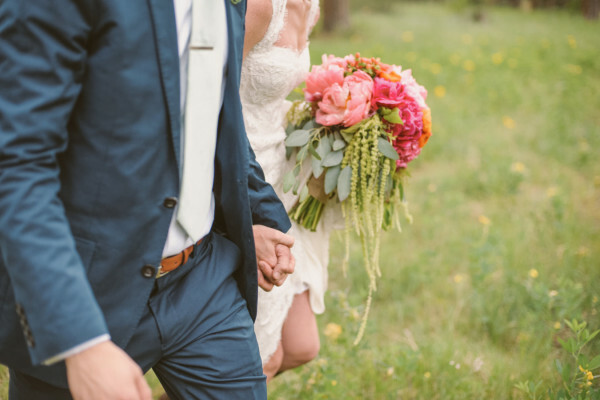 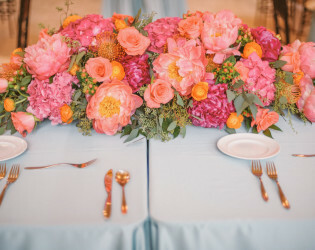 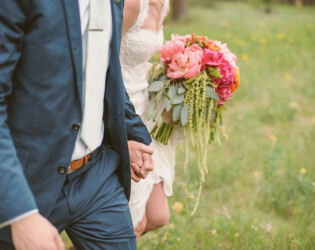 Della Terra is a place where natural beauty and romantic design are brought together to create the perfect secluded mountain venue for your wedding ceremony and reception. 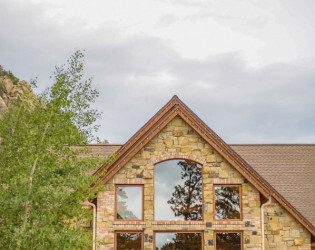 At the end of the twisting road, Della Terra suddenly rises up before you, breathtakingly suspended, majestic, solid, yet magical. Nestled in the majestic grandeur of the Colorado Rocky Mountains, this extraordinary venue offers essential amenities and the perfect backdrop for every season. 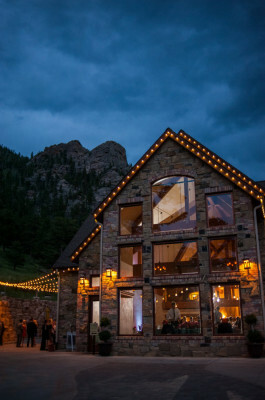 Della Terra is located above Estes Park at the Fall River entrance to the Colorado Rocky Mountain National Park. 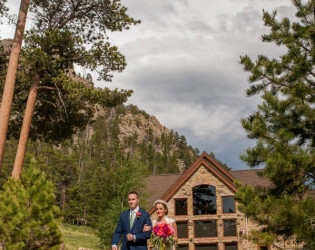 The Chateau rests at the top of the wooded acreage, surrounded by untouched nature, overlooking the southern valley and the western continental divide across a sea of pines, tucked below the granite cliffs. A fantasy of golden stones nestled on the mountainside. Our beautiful indoor site features lofty ceilings, balcony overlooks and large arched windows capturing incredible mountain views. 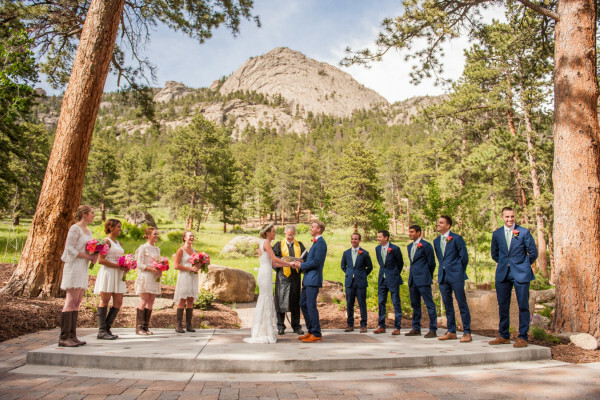 This ideal ceremony and reception site accommodates up to 200 guests. 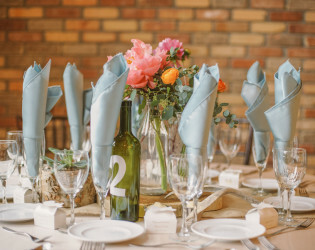 It is complete with a raised platform, dance floor, full service bar, DJ area with sound and lighting systems, live band area and gourmet kitchen for your caterer. 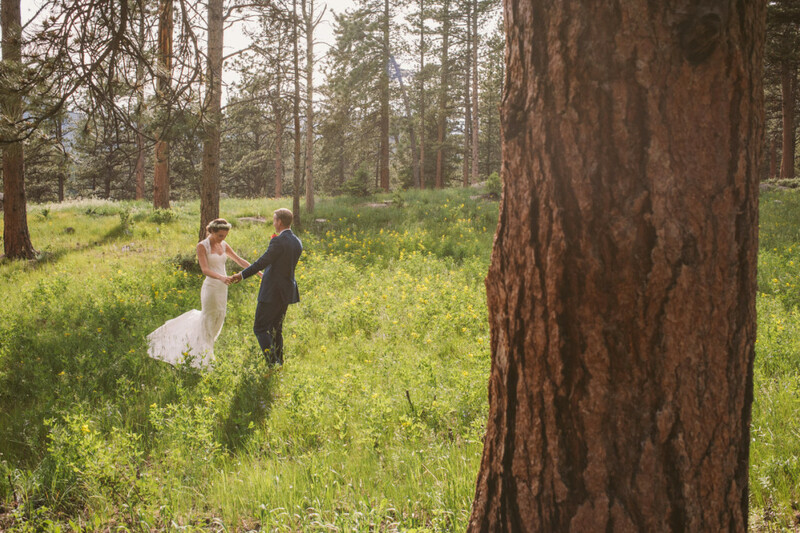 Our inspiring outdoor site is nestled among the pines on the mountainside with breathtaking vistas in all directions, surrounded by the untouched nature of the Rocky Mountains. 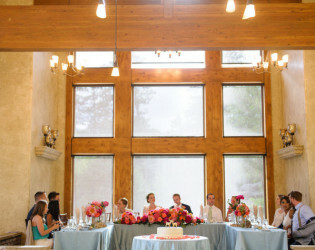 The raised alcove embraces the bride and groom as the guests sit upon the terraced hillside. 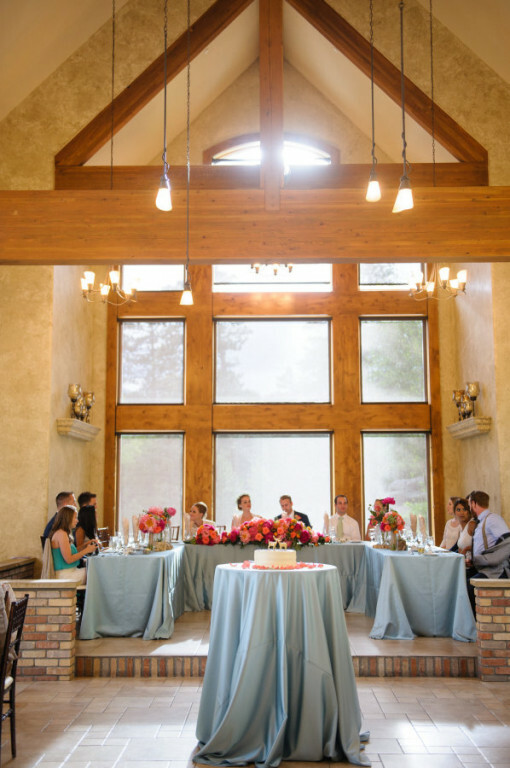 Della Terra offers our intimate indoor Gathering Place which features balconies and two large fireplaces. 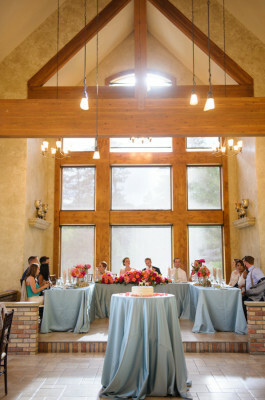 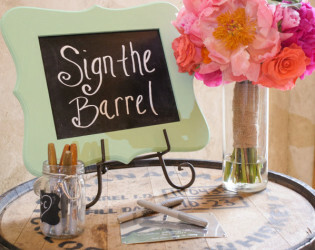 This is the perfect place to gather for your celebration toast and appetizers after your ceremony. 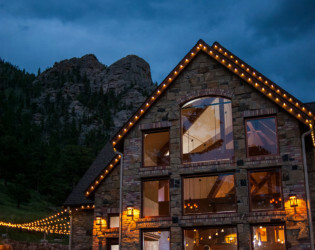 The Loft Bar, private bar with select lite fare for Chateau Lodging guests only. 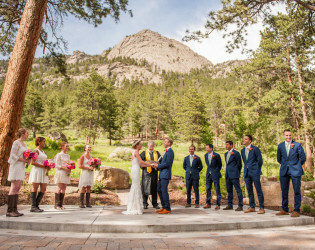 Nestled in the majestic grandeur of the Colorado Rocky Mountains, this extraordinary venue offers essential amenities and the perfect backdrop for every season. 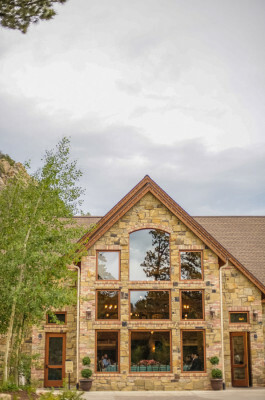 At the end of the twisting road, Della Terra suddenly rises up before you, breathtakingly suspended, majestic, solid, yet magical. 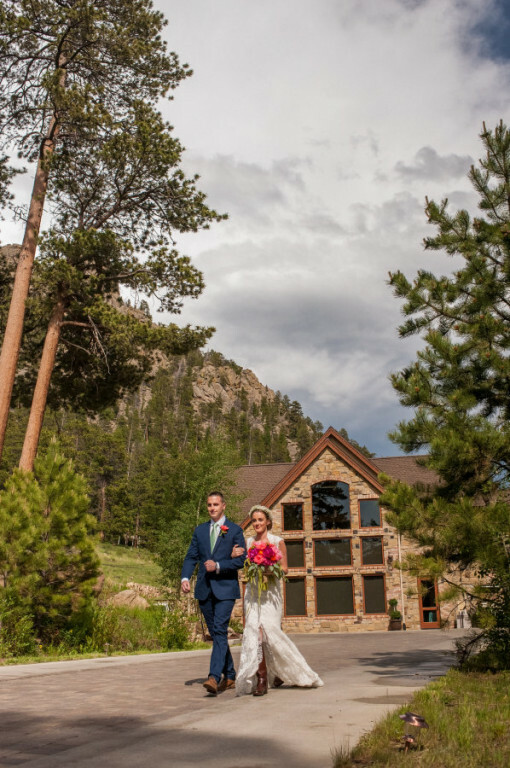 The Chateau rests at the top of the wooded acreage, surrounded by untouched nature, overlooking the southern valley and the western continental divide across a sea of pines, tucked below the granite cliffs. 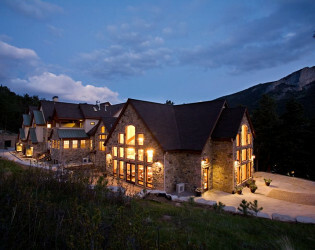 A fantasy of golden stones nestled on the mountainside.